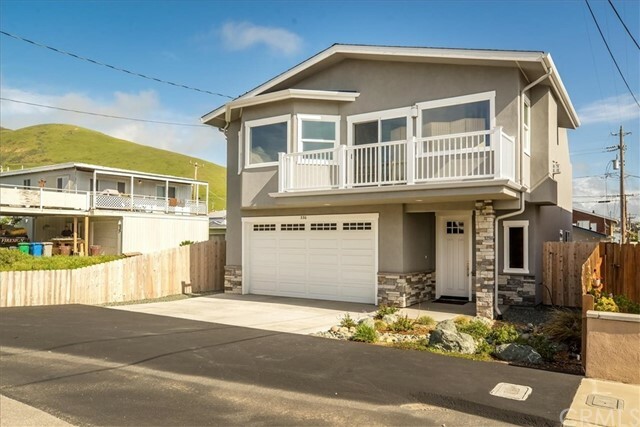 Enjoy watching the whales and waves from your roof top deck, with panoramic ocean views from morro rock to cayucos. When you are not entertaining guests on your private roof deck, relax in the airy, open concept kitchen, dining, and living space. The second story includes vaulted ceilings and a large balcony with white water ocean views. This stunning, turn-key, three bedroom and two and a half bath, 1,743 square foot custom home features hardwood floors, quartz counter-tops, stainless steel appliances, a gas fireplace, 7â€™ solid core doors, walk-in closets, high end finishes, and ocean breezes throughout. Located a short walk from the beach, this home is truly one of a kind. Call your realtor to see this gorgeous home in person today! For more information or make an appointment to see property ID SC19071655.